My first baby was a total dream and convinced me that at the tender age of 21, I was a parenting prodigy. It couldn’t possibly be that I had an easy-going baby. It was me and my amazing skills. 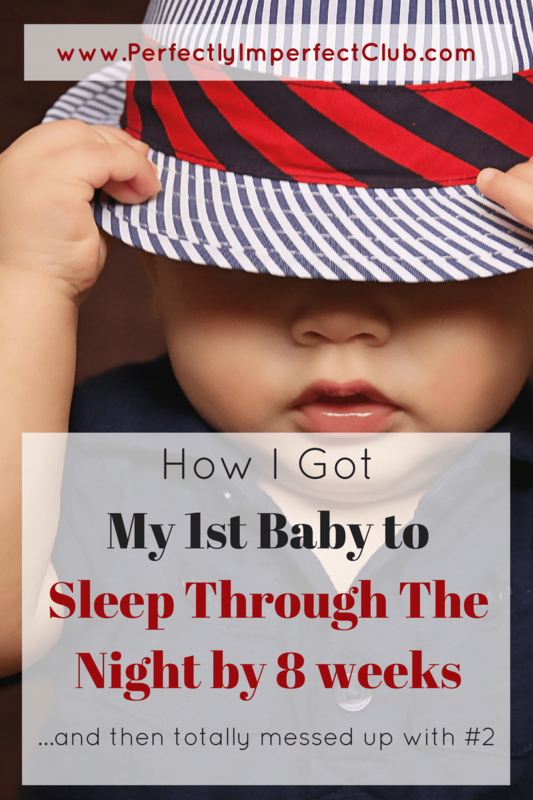 He nursed like a champ, he quickly and effortlessly fell into a predictable schedule, I got him to sleep through the night by 8 weeks, he reached all of his milestones on time or ahead of schedule. He was perfect. Or I was perfect. Or maybe we were both perfect? My second baby was born just two years later, and because I was such a perfect parent, I was really thrown for a loop when my second baby wasn’t at all like the first. He was cranky, constantly wanted to be held, had a sensitive tummy, so I had to be super careful about what I ate. He rarely slept, and when he did, it was only for 45 minutes at a time. I was exhausted, he was exhausted. We were both exhausted. But I realized something very important. I wasn’t a perfect parent, I just lucked out with my first. Or maybe it wasn’t all luck. My methods were also different. Parenting is such hard work. I know that every mother who is reading this wants to be a better parent. *I* want to be a better parent! Sometime it’s so difficult though to know how to do just that. We all know the effects of good parenting (happier, better adjusted children), the problem though is knowing how to get there. 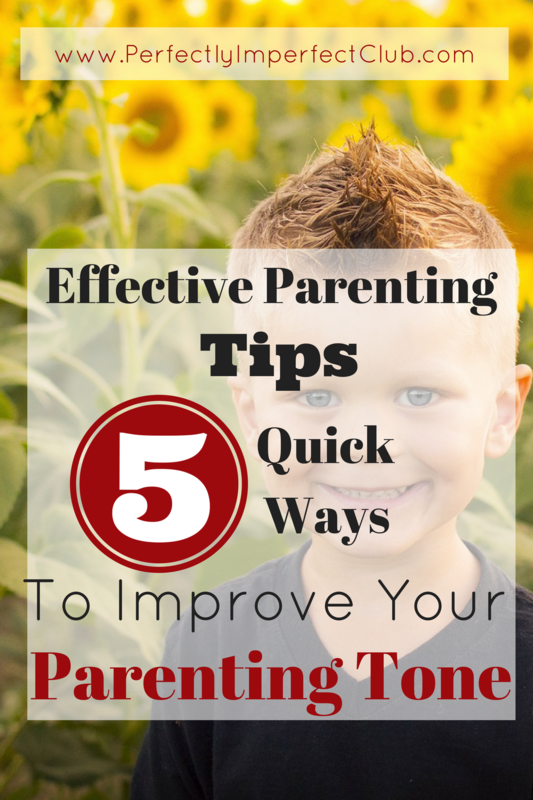 Instead of just giving you more good parenting principles though, I am going to give you five effective parenting tips that are actionable steps that you can take right now that will actually get you moving in the right direction, instead of wondering how to implement. 1. Tell your kids to stop calling you that. 3. Never tell your children your new name. 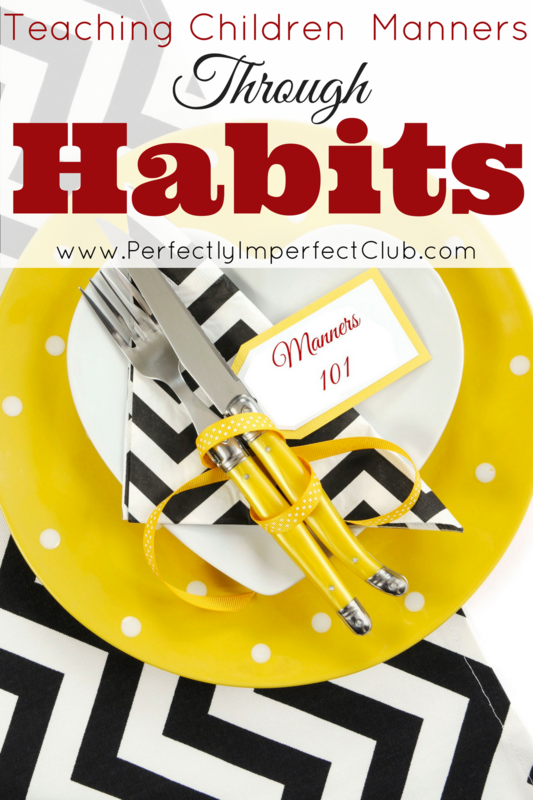 Are you in one of those stages of motherhood where everything feels hard and overwhelming? Or do you feel harried, busy, or anxious with no room to breath and relax? It’s time to put your oxygen mask on, Mama. There’s no shame in having to step back for a minute, re-evaluate a situation, change what you are doing, and lessen your load. It’s actually a really good thing. This is what I call putting on your oxygen mask. Putting on your oxygen mask prevents Mom Burnout. No one wants to end up with Mom Burnout, it’s hard to recover, it’s hard to see the joy, it’s hard to do anything. 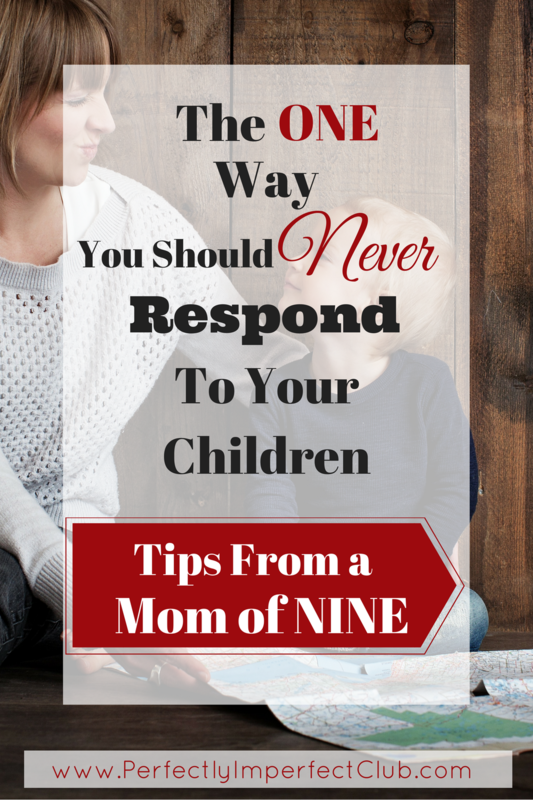 Being proactive when you are feeling a little piqued or stressed is a much better way to keep calm, and Mom on. 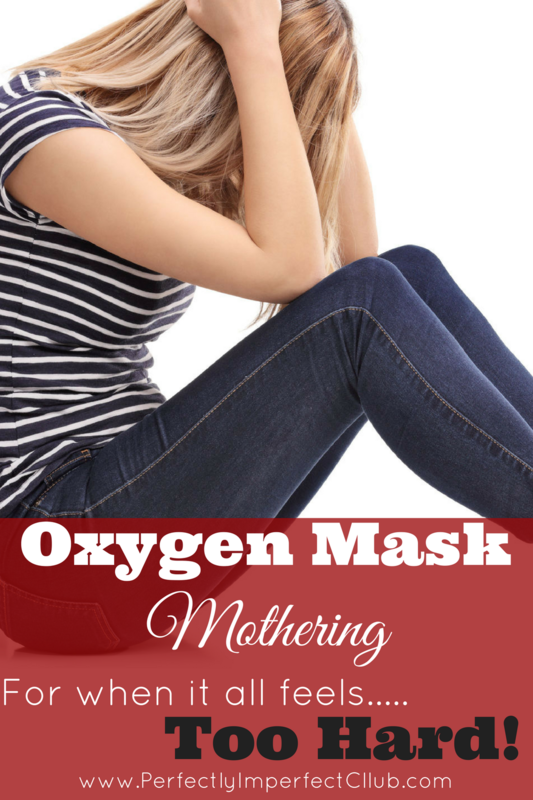 I put on my own oxygen mask several times per week, and I’m a better Mom for it. If what you are experiencing goes beyond simple burnout, it’s time to reach out for help. There’s no shame in getting the help you need. You must take care of yourself. If you are in the middle of chores again and you stop and look around, what are your children doing? Are they working alongside you, or are they playing or following their own pursuits? Are you the only one who is ever in the kitchen, doing laundry, or taking out the trash? I’ve got news for you. You’re not the mom anymore, you’re the maid. It’s time to change that mentality, Mama! Everyone in this house works on housekeeping, including me. I’m not asking the children to do anything that I am not willing to do myself, but I am also not going to be the only one working. We create our mess as a family, we’ll clean it as a family too! I am doing my best to raise children who are helpful and proactive, and not just in my own home. I am teaching them to watch for ways to be helpful and serve wherever they go. If they are sitting down, watching TV and they realize that someone is doing a bunch of chores (kitchen, laundry, cleaning, organizing), I don’t want them to just sit there and continue to entertain themselves. I want them to get up and volunteer to help. If you need some help figuring out how to break up and fit in all of the tiny jobs that go into keep your home running, download my FREE cheat sheets! There is nothing more exasperating and sad than seeing a mother killing herself in the kitchen to serve her family, while the rest of her family lounges in the living room with toys spread out everywhere, trashcan overflowing, and the bathrooms in need of a wipe-down. If you are feeling overwhelmed by all of the chores you are doing, lighten your load by assigning jobs that need to be done to family members. You don’t personally have to do it all. Have one of your bigger kids take out the trash. Hand a wet washcloth to a toddler and have him wipe off those lower cabinet doors, have a middle aged child chop those vegetables for you, and teach the toddlers to clean up whenever you play the clean-up song. If some of your children are past the napping stage of childhood, and you find yourself still needing some downtime in the afternoon, it’s okay and beneficial to have a family quiet time. Treat this time just as you used to treat nap time. Sacred and non-negotiable. Determine the length of time, time of day, and go for it. Let the children know what they will be doing, for how long, and what the rules will be. It’s ok to give yourself this mental break. It’s also a mental break for your children, it’s down time. Everyone needs downtime. This is a great time for children to play quietly by themselves, read, work on a hobby, etc. Keep the electronics off, and let them know that during quiet time, there is no talking unless there is an emergency. Spend a little bit of time each and every day doing something that you love, just for you. You don’t have to dedicate an entire hour to your hobby, even 10-15 minutes per day is enough. If you really enjoy sewing, sit down and work on your project for 15 minutes per day during the week. If you do that every day, by the end of the week you will have logged an hour and forty-five minutes! While it is nice to be able to sit down and work on hobbies for larger chunks of time, if you don’t have time in your schedule right now, tiny time segments can still be refreshing! I really enjoy reading for fun right now. 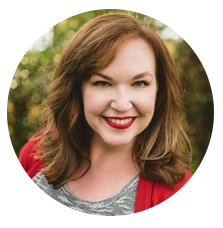 I have tried and rejected so many different hobbies, looking for one that really lights me up, sewing, knitting, hand-lettering, coloring, paper crafting, cake decorating, every single one of those hobbies stress me out. But reading, I’ve always loved reading! So I stick to that for now. It’s what refreshes me. Learn to say no, not just to your children, but to other people as well. I personally have a problem with this. It’s so hard to let someone down. But do you know what I’ve realized? If I say yes, I’m still letting someone down. Someone has to pay the price. If a friend or acquaintance asks me to do something, and I say yes, that usually means that I am saying no, either to myself or to my family. We all have a finite amount of time, so if you are giving that time to someone else, then you have to take it from somewhere. Sometimes, it’s worth the cost, other times, it is not. You have to be able to distinguish the best times to say yes and the best times to say no. In the last month, I’ve had to start saying no more because I was saying yes too often. We had to stop hosting our small group at our house, I’ve had to cut back on the number of days that I take the children to martial arts, and we’ve had to cut back the amount of time we are spending in leadership roles at our church. We said yes too much, and it was starting to take a toll, so we had to start saying no. It’s okay to say no. Especially if you need some breathing room. If you are feeling frazzled, burned out and apathetic, it’s time to start making some changes! Simplify your life, get back to the basics, take some time for yourself to just breathe. Get yourself back to the point where you feel human again. You have got to take care of yourself and treat yourself gently before you can be expected to give it your all as a Mom. You can only give so much before your well will run dry. Put on your oxygen mask first, so that you are then in a better position to be a great Mom to your children.